Is Standardized Solar Permitting The Next Industry Breakthrough? Cutting costs has been the key to solar’s rapid expansion this decade. The lion’s share of cost reductions in the solar industry has come from reductions in module prices. The $4 per watt you’d have paid in 2006 just for modules alone will now get the entire residential solar system installed. And then along came third-party financing, which made solar available to all. The $20,000 or $30,000 a homeowner once needed to pay for a solar system can now be afforded through a car-like low monthly payment. So, what’s next for the industry’s next big cost breakthrough? With technology costs down, financing improvements up and a solar system turned on every 2.5 minutes in America, the standardization of solar permitting is poised to be one of the solar industry’s next big breaks. Further, they found that variations in local permitting procedures leads to an average price increase of $0.18 per watt, equating to a $700 price difference between poor and well-performing jurisdictions. When considering the full spectrum of local regulatory procedures, including permitting, LBNL reports the price impact is a staggering $2,500 for a 5 kW system. That’s the cost of 13 solar panels in an 18-panel home system. This is an enormous opportunity. The U.S. Department of Energy has appropriately based its SunShot Initiative around reducing these non-hardware “soft costs,” which now represent 64 percent of an entire system. Recent reports have demonstrated that installers avoid certain jurisdictions, closing off market opportunities for the industry and competition for the consumer. Once an installer makes the sale on a system, a delay in permitting can be costly for the business that must cover the cost of carrying inventory until the project is operational. James Tong with Clean Power Finance and author of “Nationwide Analysis of Solar Permitting and Implications for Soft Costs” says, “Because most installers front the cost of a solar system and must hold equipment in inventory during permitting delays, there is a tremendous cost to the industry of inefficient, complicated and unpredictable permitting. The longer the cycle time to get permission to operate, the greater the costs. This is an often under-appreciated problem, particularly for small and medium enterprises, which dominate the solar installation landscape.” These enterprises also create the most jobs. Streamlining permitting would be a powerful third leg to the recent technology and financing gains of the industry. Vermont established the nation’s first standardized solar permitting law, and the evidence is promising. 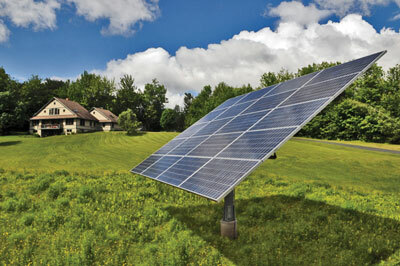 After an industry-led effort in 2011, the state’s one-page solar registration program featured three key characteristics. First, it is statewide and the same across all jurisdictions. Second, it is quick and presumptive. It features a 10-day period and on the 11th day, a system can be installed unless a specific problem is raised by the utility. Third, it is technology agnostic, applying to rooftop or ground systems alike. Not surprisingly, it’s been an overwhelming success. Not only was the program expanded by the state’s legislature the following year from 5 kW to 10 kW and then two years after that to 15 kW, but the state has seen solar boom: a four-fold increase in solar installations in three years, and the state has earned the status as No. 1 in solar jobs per capita in the nation. Permit times decreased from an average of 45 days to just 10 days. Vermont established the Nation’s first standardized permitting law, and the evidence is promising. While Vermont is blessed with a statewide permitting process, that state-level progress inevitably will have to take shape differently depending on whether states are home-rule, have strong county governments or other governance and political characteristics. Nevertheless, hopeful new forms of standardized, streamlined permitting approaches are taking root from New York to California. The new law requires the state’s 515 municipalities and local jurisdictions to create an expedited, streamlined, online solar permitting process for rooftop solar under 10kW. Municipal policies will be based on the “Governor’s Solar Permitting Guidebook,” released earlier this winter. As with past California policies, most notably auto emissions requirements, many hope California’s action will bring along the rest of the nation. New York is making gains as well. 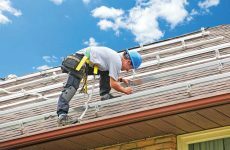 New York’s new streamlined permit combines building and electrical permits for rooftop systems 12kW and less. The new program is offering incentives from $2,500 to $5,000, depending on population, to municipalities that adopt standardized permitting through the New York State Cleaner, Greener Communities program. So far, 99 jurisdictions have come on board. Other states like Massachusetts and Maryland are embarking on similar conversations and seem poised for progress as well. California and New York got a lot of things right, but they’re only just a start. Any state that truly wants to streamline solar permitting should enact similar programs for ground-mounted solar. The majority of our country’s solar will be installed not on roofs, but on the ground according to National Renewable Energy Lab, and we ought to establish more efficient policies, particularly for small ground-mounted arrays for homeowners. Second, having made the first important step with residential solar streamlining, solar standardization policies should include commercial solar as well. Finally, all jurisdictions, whether they’ve taken steps to streamline their permitting policies or not, should start by making solar permitting available online and implement modern technology for their plan review and inspection processes. The good news is that many local jurisdictions are already moving toward such technology for their building permitting, and solar should benefit from these improvements. One provider of municipal permitting technology, Accela, is working with its local jurisdiction customers and stakeholders in the solar industry to incorporate the requirements of solar permitting into their technology. This work has shown early success in boosting efficiency in communities including San Diego County and Salt Lake City. While we’d all like to believe that technical innovations can continue to outpace often slow-moving policy innovation, industry and policy leaders ought to be looking at where we can make the most progress, most cost-effectively. Arguably, we need to (and will) do both: Continue to innovate in technology and continue to advance smart policy. The idea of reducing red tape and government-imposed costs should be an idea we can all rally around. It certainly seems primed for getting the biggest gain for our innovative buck. Andrew Savage is the chief strategy officer of AllEarth Renewables, the manufacturer of the AllEarth Solar Tracker, and is on the Board of Directors of the Solar Energy Industry Association (SEIA). I’ve been involved in checking the ability of existing roof structures to hold PV and hot water solar panel systems. I can tell you that in most cases on a pitched roof on a residence built since 1995 they can hold the panels most of the time except in some cases. This assumes first of all that the home was properly inspected and designed. Unfortunately there are many homes out there that have existing broken trusses, missing bracing, inadequate diaphragm nailing, and in some cases homeowner have stacked large quantities of household goods in the attic space. I have also seem homeowners who cut out large sections of the trusses in the attic. As an installed don’t you want the added protection that a $600 report by an expert? 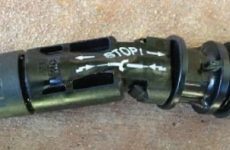 Do you trust a roof structure sight unseen? So far I have only talked about pitched residential roofs. It has been my experience that trusses built 30 years ago have often had damage from insects and water penetration into the attic space. This is especially true for flat roofs in hot climates. I’ve seen roofs build as late as 2004 that have had so much water penetration and ponding that the entire ceiling is coming down by up to 4″. Yet in some of the local jurisdictions they simply require a cursory calculation taking the total weight of the system and dividing by the entire area of the roof. This despite the fact that a ballasted system depends on stacking rows of concrete blocks sometimes on structural components that were designed for as little as 8PSF of dead weight. If you look at a truss from the 1960’s they were designed using slide rules and have had over 50 years in which the elements have not been well to them. They have been overloaded with periodic water ponding, new air conditions have been added over the years, roofing contractors may have stacked 8 pallets of roofing in one spot. You just don’t know – and unless you are a trained professional you don’t know what to look for. In my experience most solar salesmen don’t know the difference between a truss and a rafter let alone how much gusset plate loosening is dangerous. Yes, in most cases roof systems are designed to hold more than they are designed for, but not in all cases. 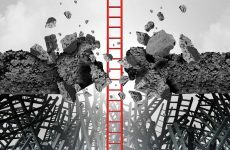 I’ve seen solar companies stack concrete blocks on long span flat roofs that cause so much deflection that the ceiling is in danger of collapse. Yet in some jurisdictions they don’t even need to submit any structural analysis at all. Just divide the total weight by the total area of the roof. That’s it. Sometimes not only is the structural framing inadequate, the sheathing has been wet so many times that it has delaminated and it’s like walking on a sponge. Another thing you need to consider in all this is that trusses are an engineered product. Every truss on a job requires an engineer to stamp the design – usually prior to permit or final inspection. Anyone who adds to the dead load on that truss is voiding the warranty of the manufacturer, voiding the work of the engineer who stamped those truss designs, and the work of the engineer of record on the original design of the structure. By all means go ahead and allow solar on a cut and stack roof, but not on a trussed system. I see some jurisdictions using a cookie cutter calc to justify adding PV systems to roof systems without any calc, but this is a danger to the public. Someone with a professional license be it needs to certify or at the very least verify that there has not been damaged – this could mean that an engineer or a certified building inspector, but someone with a license needs to look into the attic because I’ve seen people remove all the webbing and put a pot grow room in the attic. The solar installers don’t even look in the attic space let alone certify that the roof framing is adequate. If you add solar panels to your home without getting a professional design and there is a structural issue your insurance is not going to pay for it. The original designer is not going to pay for it. The solar installer is not going to pay for it. You will be left holding the bag.